I have always had a secret curiosity about Argentina. I find their people quite different to the rest of Latin America (in looks and in attitude). Sometimes European trades appear in them but still, they are charged with a fiery and bellicose spirit that comes only from those countries that have had to fight really hard for their independence and a sense of nationality (which, for this Guru, is one of the dealings that define Latinos). I find them endearing too. A big part of my family found their home there and irremediably fell in love with the melancholic but still modern city of Buenos Aires. When visiting the family, they would bring with them the charming accent, the wonderful stories, the tangos and the books that, as a child, I just adored. The writers that were from and talked about this country charged my young years of high school with the promise that unending love existed and that passion in life and in country is what keeps this world moving. Jorge Luis Borges, Julio Cortazar, Ernesto Sabato… all of them qualified me for the arduous task of celebrating the fight of life every single day of my painful years towards adulthood. My intriguing affair with Argentina might also be because my mother decided to name me after a song of one of its most famous singers (that happens to be one of my favourite ones! ): Alberto Cortez. And even though a few of my closest friends come from this country and make me laugh constantly with their cynical approach to daily life events, I also find them creatures of high complexity who (because of unexplainable reasons) happen to understand in an innate way all the lyrics of rock band Soda Stereo. I never did completely (or at least not with the commitment that just the newer generation of Argentinians do)… to understand them you have to be Argentinian. And that’s the whole point with the people from this country! They just do their thing in such a particular manner that, to really get it, you have to come from the same place. And if you’re an outsider you just cannot stop looking, or listening, the spell is too strong. Is there a more organic, proud and commending way of being patriotic? So, if you’re expecting a different approach for the fur industry in this country you have proved that you are not reading and learning from the Guru (how dare you?!). And there’s no one better to do so that the three fantastic individuals in charge of FACIF and the new generations of designers this country has produced: FACIF JOVEN (FACIF YOUNG for you and me). FACIF is a member of the International Fur Federation (IFF), observer of the Convention of C.I.T.E.S. (Convention on International Trade in Endangered Species of Wild Fauna and Flora), Honorary Member of Furs Institute of Canada and participant in the Environment Committee of the UIA. FACIF Joven latest workshop, competition and exhibition. Chemical engineer with more than 25 years of experience in tanneries, Humberto Borsani, is the manager of FACIF. Argentina is considered the main Latin American country producing fine fur, having evolved over time, from being a mere collector of raw skins to exporter of manufactured products with high added value (garments, rugs, blankets, etc.) competing successfully in the international markets. Argentina has historically been one of the largest suppliers of fur in the world. These species come from wild animals such as otter, from farm animals such as mink and fox as well as the use of hides and leathers of domestic animals such as goats and sheep in their different types. At present, the fur industry has begun to innovate with new techniques and textures to capture new markets or to compete with high-tech countries. It was so that on the initiative of Humberto Borsani, FACIF JOVEN (FACIF YOUNG) was created in 2010 with the aim of incorporating the young designers into the fur industry. There are already more than 600 members of this group, including a large number of TALENTED ARGENTINIAN DESIGNERS who have triumphed around the world and who are still part of the FACIF team such as Santiago Artemis and the lovely Melisa Higa. 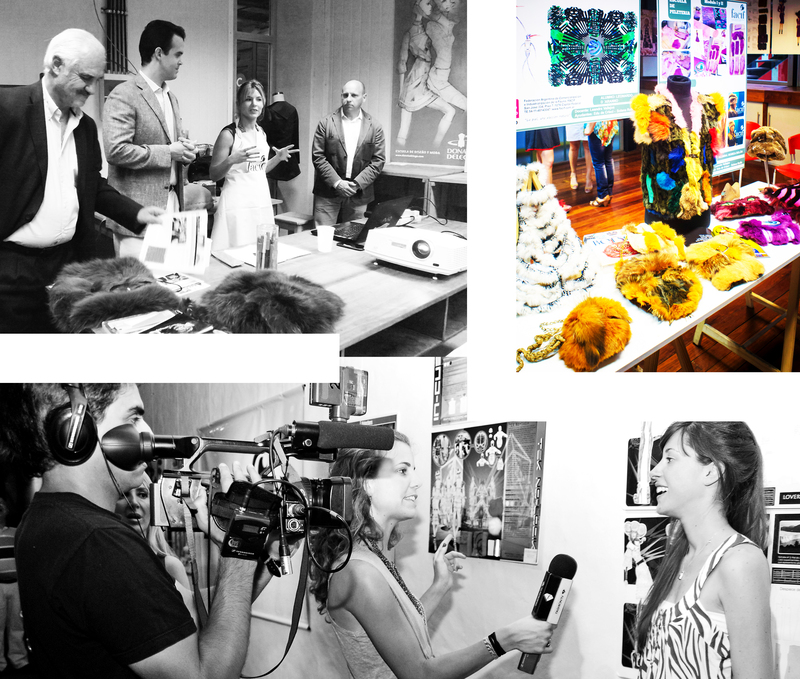 For this reason, one of the activities of FACIF, with the support of CMD (Centro Metropolitano de Diseño), has been to sponsor an international fur design competition, aimed at incorporating and attracting creative young people to the fur sector, as well as trying to demystify and promote its use. Together with this entity they have carried out since 2002 the organization of training courses in design, textures and modeling, using fur in its different variables. The high interest that has been generated in it has reflected in the large number of people who have signed up year after year bringing them once again to make a new edition of this training. The enthusiasm and belief in the new Argentinian generation that moved Humberto to create FACIF JOVEN has been infectious. Leandra Vallejos and Florencia Yacoy have been proud and successful guides and supporters for all the new talent in Argentina. This Guru believes they are doing a fab job. You certainly can tell when something has been made in Argentina. The flare, the audacity, the fearless design. It is exhuberant without being obvious or in your face. It demands, sometimes complains about a particular topic but, in such a radical and still beautiful manner that you just don’t have any other option but to sucumb and retreat. Like a tango, you listen, follow and accept the defeat. But please, don’t misunderstand; you do it readily and willingly, not as a matter of sacrifice but as a celebration of resurrection, of better times. Yes, that’s where the magic of this people lies; on their faith in the future and all the better things to come. P.S. Beautiful people, the sun is shining and spring is on! The Fur Guru doesn’t need further incentive. She’s out and about and planning to take you next week to one of the most unconventional exhibitions of this year.